Today I will talk about yet another drive to install the CyanogenMod 10.1 for a device that was really between the top of the last year and it's always branded Samsung, we are talking about the Galaxy S2. Just yesterday we told you about the availability of Android Jelly Bean for this device and its larger cousin the Galaxy notes, who is unable to resist may use this guide to make the move and get the Android version 4.2.1, which brings with it many new features that we've seen over time because otherwise we are talking about a custom Rom— 10.1 CM. As usual we give you everything you need to navigate to this Rom without any problems and especially in clear and simple way. 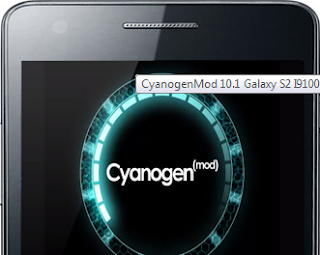 Here we are in the section where we list everything you need to Flash the CyanogenMod 10.1 on yourSamsung Galaxy S2. We are now ready to install the Rom because we have everything we need. Now we will run the steps that will allow us to install the Rom on your Galaxy S2, there will be big problems if you have all the prerequisites that are basic to allow you to move forward, let's get started. The first thing to do is to move on the external memory card, either the Rom that the Gapps. After that we enter into Recovery by pressing Volume up + Home + Power and you should get into Recovery or download Rom Manager and opening the program you can get into it. Now we carry out the order to wipe, then navigate to the flash Rom, first select "wipe data/factory reset" after selecting the entry "Yes", let's move on to the second called "wipe cache" then the last is in the advanced section of the Recovery and it is called "wipe dalvik". We can Flash now 10.1 CM, by selecting "install zip from sd card > chose zip from sd card and thereupon the Rom .zip file we downloaded earlier. Wait a few seconds and once you have finished install look back on "install zip from sd card > choose zip from sd card", but this time select the compressed file of Google Apps, or gapps-jb-20121212-signed.zip. Now after waiting the installation is complete we can restart the device and sample 4.2.1 Android. These are all steps that you must perform to install this Rom eagerly awaited by everyone and that surely will enable you to have even more performance, but also a personalisation different from that to which you are accustomed or Samsung's TouchWiz. Let us know what you think and especially if you had some trouble with the Guide, which will be corrected instantly if there is some inaccuracy, but most of all have fun in flash and for any kind of problem we'll try to help you.